An Ainu chief in traditional clothing. 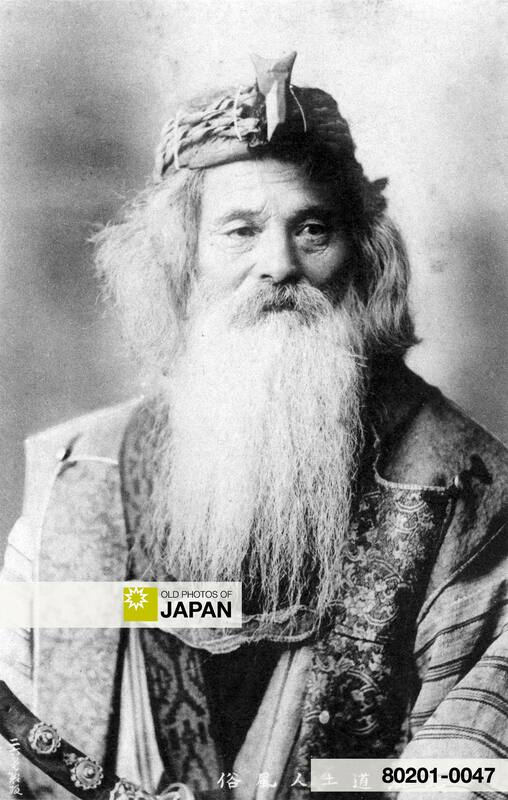 For more information about Ainu, click on Ainu under Themes. You can also licence this image online: 80201-0047 @ MeijiShowa.com.